I'm not even joking - I am scaring myself here. 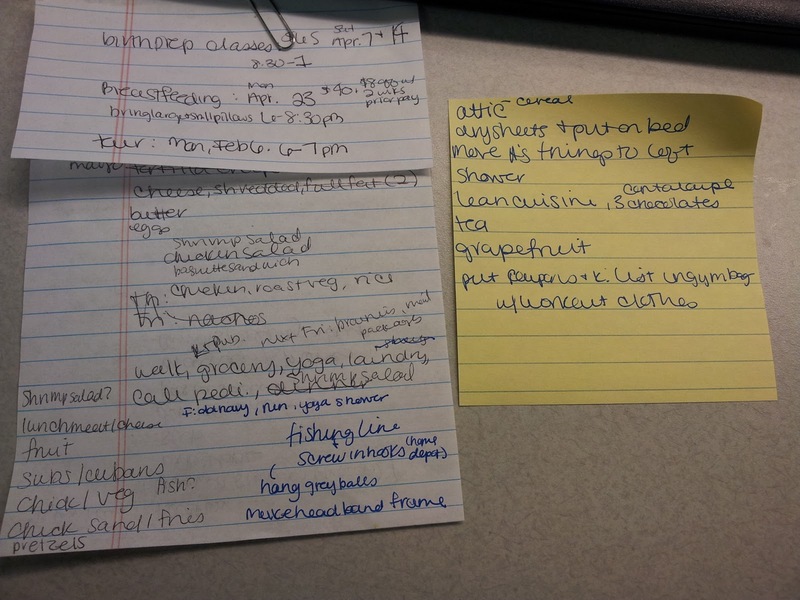 I have always been one for lists like to-do, grocery, packing, etc. but it has taken on a whole new life now. 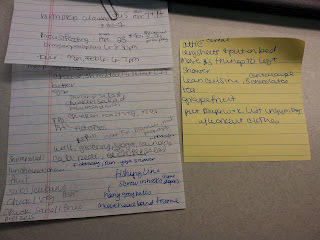 I am writing lists for everything! Anything I might have to do (launry, make a bed, sweep), buy or even eat. I mean lets be real, I do not need to remind myself through a list that I should eat a snack of cereal before I take a shower. On the left is a list in the early stages - it will be re-written and maybe spread into 2 lists. The one on the right is my list of things to do tonight and although kind of sloppy, I refuse to waste another post it note on it! 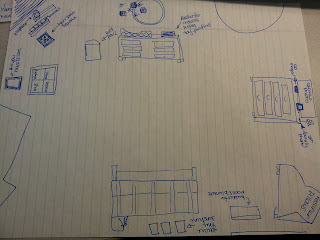 Here is a blueprint of the babies room. I am also anxious to get this babies room rolling - tonight I plan to take out baby clothes from the attic that we have stored away from Adam's first daughter and go through it to see what we can re-use this time. I will also take all of his sports pictures (that I think he plans to put in his office) out of the babies room and place in the loft by his desk. 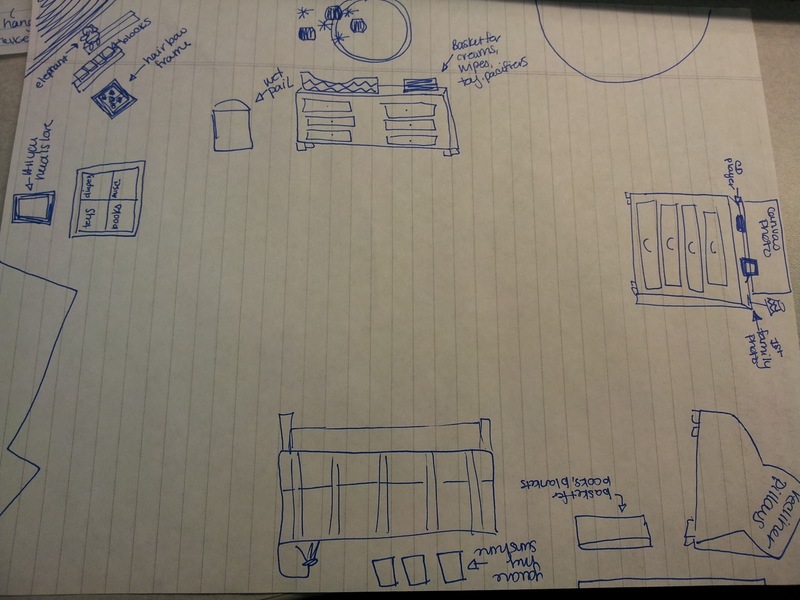 I don't know if it's the beginning of nesting or what, but I am all of the sudden worrying about how little time there is before the baby is here and freaking out about all that we need to do and buy. I guess I am just trying to keep everything straight, but I just hope I dont drive myself insane! I may just end up buried until a pile of lists in the next 4 months.